A conservation charity has expressed concern over the disappearance of four tagged hen harriers in recent months. RSPB Scotland said the birds were last located over land managed for grouse shooting when their satellite tags suddenly stopped transmitting. They were last tracked at locations in Moray, Aberdeenshire and Perthshire. The Scottish Gamekeepers Association condemned wildlife crime but said there were many other possible explanations for the disappearances. 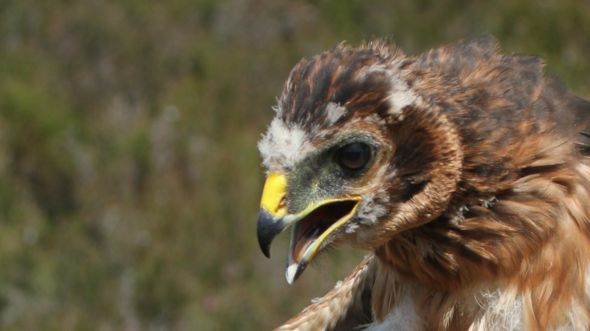 RSPB Scotland said a chick from a nest in Northumberland whose last known position was on a grouse moor near Grantown-on-Spey in Inverness-shire has not been seen since 16 August. Two birds tagged on the Mar Lodge Estate in Aberdeenshire this summer were last located near the Aberdeenshire/Moray border on 29 August and near Ballater on 3 September respectively. The fourth missing bird was last recorded on a grouse moor north of Glenalmond in Perthshire on 24 September. Ian Thomson, head of investigations for RSPB Scotland, said: “Each of these missing birds was last known to be on a moor managed for driven grouse shooting before its transmitter suddenly stopped. Hen harriers are among the UK’s rarest birds and are a protected species. The Scottish Gamekeepers Association has said shooting estates are often unfairly blamed for bird of prey disappearances when there is little supporting evidence. A spokesman said: “Until the findings of satellite tags are monitored by independent experts or bodies, we will never fully understand what happens when tags lose transmission nor will anyone be any closer to being able to do anything about it. “There could be many factors at play. Our understanding is that the majority of the seven tagged hen harriers chicks at Mar Lodge this year have died in some circumstance or another, with one tag going off radar for some days before signalling again, so we are not going to speculate on cases. 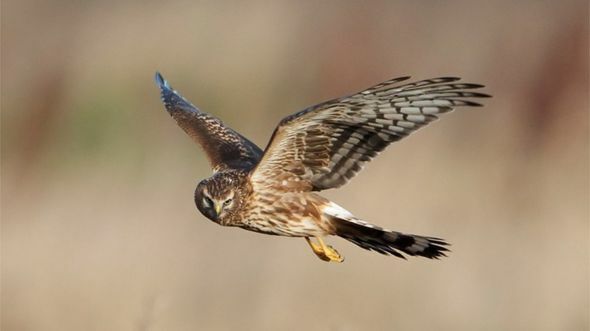 Scottish Land and Estates, which represents landowners, said it had only just learned that the hen harriers were missing. A spokesperson said: “Where a satellite tag stops transmitting, we cannot instantly conclude that the bird has been killed or harmed. “Land managers across many farms and estates would have been willing to assist the search for these birds had earlier notification been provided. Anyone with information about the disappearances is asked to contact Police Scotland on 101 or the RSPB’s raptor crime hotline on 0300 999 0101.